A large number of people in Canada have tried marijuana at least once in their life. As there is a great demand for marijuana especially for medical use, it is cultivated at a large scale in many parts of the world. For the best results one needs to use the best marijuana seeds. There are mainly three varieties of marijuana seeds. Indica, Sativa and Ruderalis. Indica variety is produced in countries like Afghanistan and Pakistan. Indica marijuana seeds germinate to form shorter and thick plants. The leaves are broad and dark green in color. The sativa seeds grow into plants that are taller and slimmer than the Indica variety. They leaves are also lighter in color. This variety is mainly found in Latin American countries. 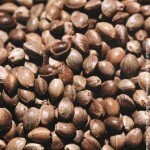 The Ruderalis variety of marijuana seed is found in the wilds of Eastern Europe and Russia. Generally Sativa variety is considered to de more intoxicating than the Indica variety. 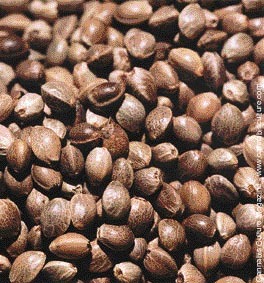 Marijuana seeds are also divided into male and female seeds. Female seeds are considered to be the best marijuana seeds. There is great demand for marijuana seeds in Marijuana use is very popular among Canadians. According to a United Nations report Canada has the highest number of marijuana users in the world. However marijuana laws in Canada are very strict. In Canada as in many other nations medical use of marijuana is allowed. One needs license to buy marijuana seeds for medical use. However the sale or purchase of Canadian marijuana seeds for cultivation for non medical purposes is a punishable offense. There are strict laws to punish one if one is found to possess marijuana seeds for purposes other than medical. Despite a tough stand against marijuana, Canada has emerged as a major marijuana producing country in the world. This is due to the great demand for marijuana in Canada for both medical and non-medical use. Many parts of Canada are famous as marijuana producing areas. British Colombia .Quebec region and Manitoba are important producers of this drug. It is the important crop cultivated in the British Colombia and is worth more than $2 billion. Canadian marijuana seeds are in great demand these days as they are highly potent. In fact, they are replacing those from Latin American countries like Colombia. Specially hydroponic marijuana grown in Canada is very popular. It has very high THC content, more than its Latin American counterparts. The higher THC content makes it a very strong drug. Hydroponic marijuana is marijuana grown indoors .It is considered to be better than marijuana grown outdoors. Mostly these are smuggled to the USA which has emerged as a large market for Canadian marijuana seeds and marijuana. Canadian marijuana seeds are available in various types- single, regular, auto flowering, feminized and the like. There are also many Canadian marijuana seed banks. There is a huge black market for Canadian marijuana seeds. Sale of Canadian marijuana seeds also take place online. Canadian government also sells marijuana seeds and marijuana for medical use. This decision taken in 2003 after the Ontario court judgment .This came as a huge relief to people dependent on marijuana for medical use. The THC content in government seeds is 10 percent .Care is taken to see that this decision does not aggravate the drug problem in Canada. However despite strict marijuana laws the non medical use of marijuana is quite rampant in Canada. This entry was posted on Saturday, July 16th, 2011 at 22:00	and is filed under Growing Marijuana. You can follow any comments to this entry through the RSS 2.0 feed. You can leave a comment, or trackback from your own site.